Below you can view all the homes for sale in the Dunmoor subdivision located in Alpharetta Georgia. 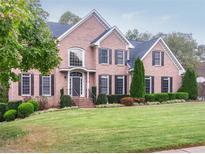 Listings in Dunmoor are updated daily from data we receive from the Atlanta multiple listing service. To learn more about any of these homes or to receive custom notifications when a new property is listed for sale in Dunmoor, give us a call at 404-998-4017. Swim/Tennis/Clubhouse/Lake Sub.Close To North Point Mall& Avalon.Award Winning Schools.Easy Access To Hwys MLS#6534852. Keller Williams Rlty, First Atlanta. Very Close To Shopping And Restaurants. Move In Ready! MLS#6528136. Realty One Group Edge. All Of This Overlooks Wooded Serenity With A Babbling Creek That Can Be Enjoyed From Large Picture Windows And A Lovely Deck And Screened Porch. More Pics On Vt! MLS#6523240. Keller Williams Realty Atl Perimeter.